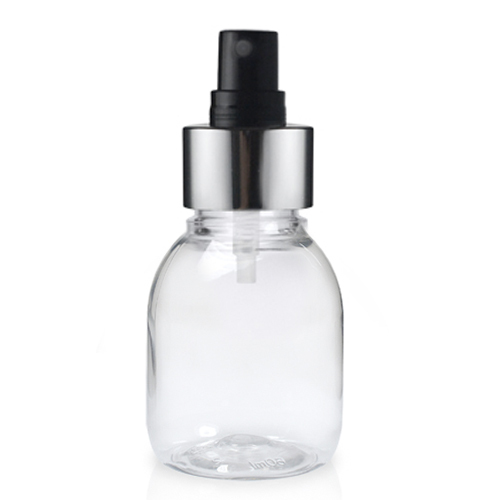 60ml Clear Plastic Sirop bottle comes with our elegant look black and silver Atomiser spray head. A great bottle and cap combination if you make your own room or body fragrances. The bottle is made from quality clear PET plastic which offers the perfect window to the product within. Lightweight and shatterproof too! great if you’re planning to ship your products. Our 60ml Plastic Sirop bottle is made from quality PET clear plastic, the PET offers a glass like appearance, great for enhancing your products natural colours, whilst being a less fragile alternative to glass. PET plastic is 100% recyclable too. The 28mm neck makes this bottle compatible with many of our 28mm closures. A trusted packaging option for many healthcare and beauty solutions and products (Great for household medicines). Ideal for housing your bath and body creams, lotions and oils. Perfect for men’s grooming products too. Available in a range of sizes, allows you to give your product range a uniformed look throughout.